With the iPhone 5S in short supply and with it being quite a substantial cost, despite only costing $199 to build, a lot of people are left wanting a device that is in high demand. However, what would you say if I said you can get the look and feel of the iPhone 5S right now on your iPhone 5 for a fraction of the cost? That’s exactly what MobileFun are offering with their upgrade kit; it turns your standard iPhone 5 into one of the new iPhone 5S colour variants. Now before you go clicking and thinking this upgrade kit actually allows you to install a Touch ID fingerprint sensor in your iPhone 5 (like I did), I’ll clarify that it is basically only a sticker, and doesn’t upgrade any of the internal hardware of the iPhone 5. However, the upgrade kit looks to be of very good quality and will give you the look of an iPhone 5S on your standard iPhone 5. With the iPhone 5S costing such a substantial amount of money, the upgrade kit is excellent value for money at just £14.99 from Mobile Fun (around $24) and it gives your iPhone 5 a new look. The upgrade kit is available in Silver, Space Gray, and Gold. Made from high quality vinyl, these skins are manufactured to replicate the iPhone 5S’ styling. 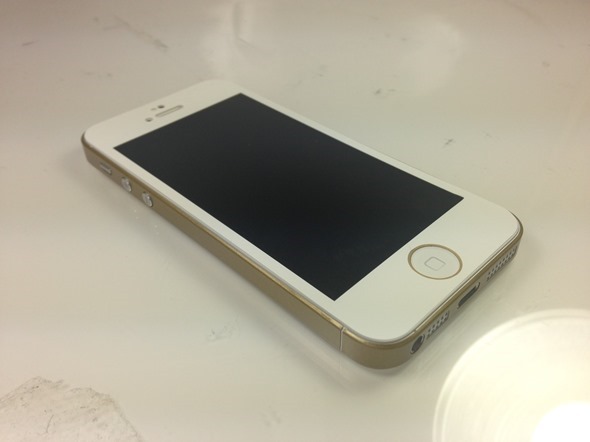 The iPhone 5S upgrade skin for the iPhone 5 includes a metallic effect home button surrounding mimicking the new Touch ID home button on the new iPhone 5S. The vinyl stickers are measured and cut to perfection to fit the iPhone 5, allowing access to all the usual buttons and ports, and with it measuring at just 1mm thick will not interfere with the use of docks or cases. Ok, so it wasn’t as exciting as a proper upgrade kit, but if you’re desperate for that Gold iPhone 5S, here’s your answer. Hit up this link if you’re interested.